We hold a number of key sponsored events, specifically designed for our Senior HR Readership in all areas of strategic HR. Our events are very different, extremely thought provoking, unbiased and informative and we always look to take a different and somewhat unconventional angle to challenge the subject to its fullest. We offer a single sponsor opportunity for our Roundtables. 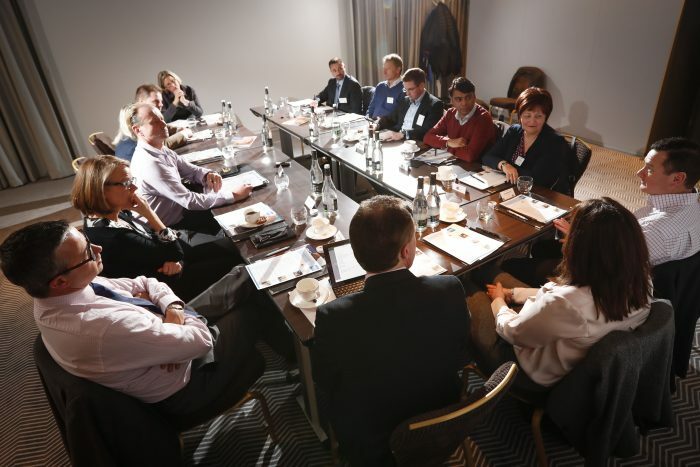 theHRDIRECTOR Roundtable events attract senior HR and business leaders from major organisations in all key sectors, providing strategic thinking, strong opinion and informative and revealing insight. Whatever your business and the services and product you provide, theHRDIRECTOR events team can tailor the roundtable event around the sector that you specialise in, putting you in the enviable position of providing expertise, answers and solutions to the most challenging issues facing business and HR today. A final Roundtable Report is then published in our monthly flagship publication giving you extra exposure to our entire readership. To read our event testimonials, click here. We offer a single sponsorship opportunity to support these events, so please speak to us early to avoid disappointment. To download a Media Sheet, click here.